The purpose of this thread is to have a complete list of 4-Koma manga that have been released in North America since it can be difficult to find one otherwise and a list of 4-Koma manga that you would like to be license. Also, it's a place to discuss and comment about any 4-Koma manga. It would be appreciated to have your help to complete the lists. Hybrid = Mixture of normal strips and 4-Koma, the fraction that is 4-Koma will vary from hybrid to hybrid. It could be high or low. 1-page manga = a manga in which the length of one chapter or one sub-chapter is one page, the fraction that is 1-page manga will vary. It could be high or low. Last edited by Shin Seikatsu; 12-08-2016, 12:44 AM. Yandere Kanojo needs to be added to the list. Probably should be counted as a hybird since it seems to mix normal and 4-Koma. Also, for the record Yandere does not refer to the usual. It's actually a combination of Yankee and Dere in this case. Yay for misleading names. It will be nice to have 1-6 of Sketchbook to go with the Ura Ban! volumes I have. Which means I'll have imported ten manga volumes in total. Oh, and time for the expected. Yen Press needs to announce more 4-Koma. This has been the expected. Since Volume 3 of saxyun's Yurumates was released, I bought it. 乙です。 Thank you for having added the links. 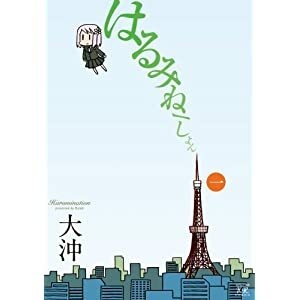 According to an article posted on his site, the Tokudane Sanmen Captors 4-koma manga by HǎilÃ¡n, who created Tricolo (Tori Koro), will be discontinued. Dengeki Daioh carried Tokudane Sanmen Captors instead of Tricolo, which is still on hiatus practically. After the rumoured troubles with Hōbunsha and the transfer to MediaWorks, HǎilÃ¡n is out of form and strays. I wonder where the manga artist, who was once called a 'Monster of 4 koma', will go. Yamato Toto wa kamisama dearu! Since the tankōbon of Yamato Toto wa kamisama dearu! was released, I bought and read it. When Sasane gave Toto cookies, Toto said, '地獄に仏とはこのことか！'　That's funny. Yamato Toto is modelled upon Yamatototohimomosohimenomikoto, an ancient Japanese princess. 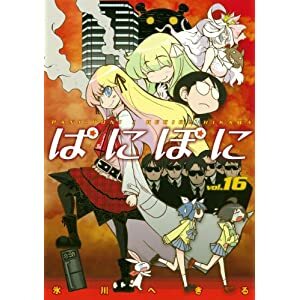 Pani-Poni will end in September, and Volume 17 of tankōbon will be the final volume. ↑大田和寛 Ōta Kazuhiro is an animator who worked in Pani-Poni Dash!. Last edited by kijakusai; 09-06-2013, 07:21 PM. Ah, so Pani-Poni is coming to an end. Not that I've read much of the manga. I wonder how far the anime got. It's hard to tell with anime sometimes. One minute five episodes isn't enough to cover a single volume. The next minute, five episodes covers at least two volumes. Since Pani-Poni is rather different from Pani Poni Dash!, in a sense it might be better to regard Pani Poni Dash! as a 'the same characters and setting, but different scripts' version. Since Pani-Poni is rather an offbeat manga, I kind of doubt whether a North American publisher dares to release an English edition of it. Also, I have to wonder. Which country is Liz supposed to be from anyway? Just to be clear, volume 5 of "With Liz" is the last one right? Yes, the tankōbon are 5 volumes. As to Liz's country, it is not clearly mentioned. It is described as a Northern, cold country, though. Finally, a new 4-Koma in the US. 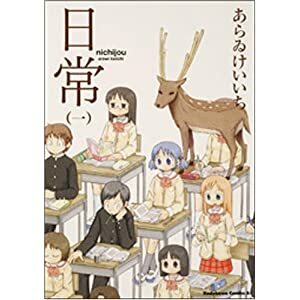 Bandai was licensed to publish the English edition of Nichijou, which is an offbeat manga. Hmm...does it suggest that a North American publisher may be going to dare to get the licence to release the English edition of other offbeat manga titles such as Pani-Poni and Harumination? Well, since they licensed the anime also, I'm not sure we can raise our hope about that. But who knows.